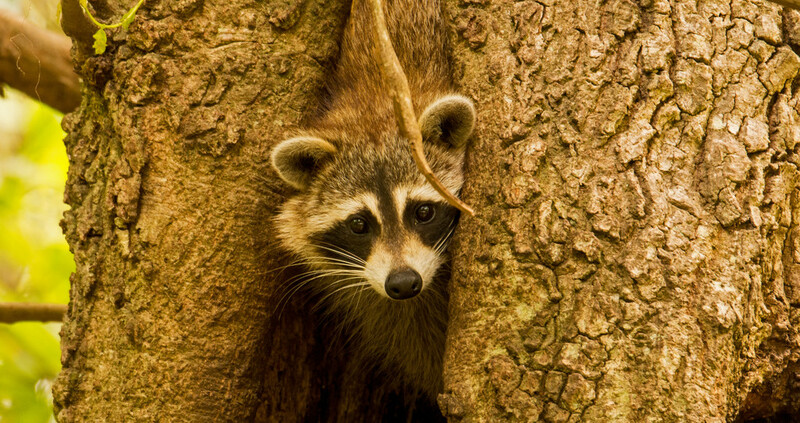 Rocky Raccoon, Trying to Come Out of the Tree! Don't think he could decide if he really wanted to come down or not. It kept coming down to this level, and would then go back up in the tree. But at least, it stuck it's head out for a few shots. hey Rocky we see ya!